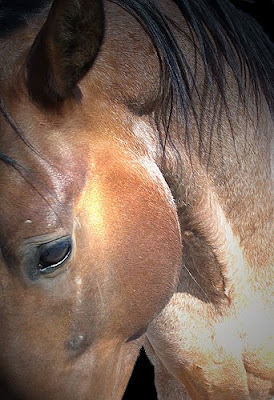 I haven’t been posting, but I have been riding, and it’s just about time to put Jammer in the trailer (along with the usual assortment of hoof boots, tack, blankets, feed, sprays, ointments, breeches, chaps, helmets, sunglasses, trail mix, propane…) and head for the hills. We’re all set to attempt his first 50 at Eagle Extreme. It’s a desert ride, and we’re expecting warm temperatures for this early in the season. 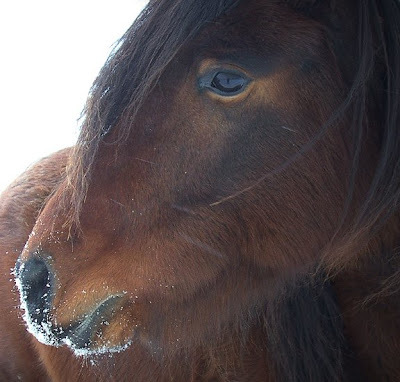 The horses still have a bit of winter coat hanging on, and the day is supposed to get up to mid-80’s. That may slow us down, but it isn’t as though I was planning to burn up the trails anyway. Not on Jam’s first time out. I have a lot of packing to do between now and Friday, when we’ll leave for ride camp. 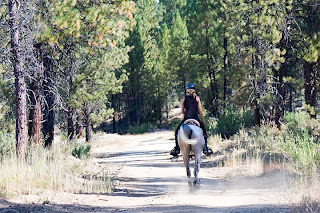 Preparing for an endurance ride is always a project (10-page packing list, anyone? ), but this time I’m out of practice. Can you believe I haven’t done a ride since Consolation’s last 50 at Fandango last May? I’m just about a year — and a lifetime — out from that ride and I am way beyond excited to be back. Excited in a quiet sort of way. A content sort of way. 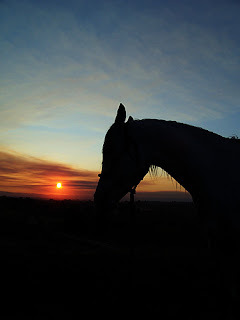 A way that has learned to be at peace in this moment, because we never know what is coming, but today there is sunrise and coffee on the north deck and horses in the pasture and people who care about us scattered all across this world. I knew it at the time, but it’s nice to be on the other side. No, I haven’t been posting. But I have been riding. And living. Learning. Exploring. I have taken up new sports (because I have time for THAT, right?) and enjoyed friends and worked hard and met someone special who can both understand my being and broaden it. 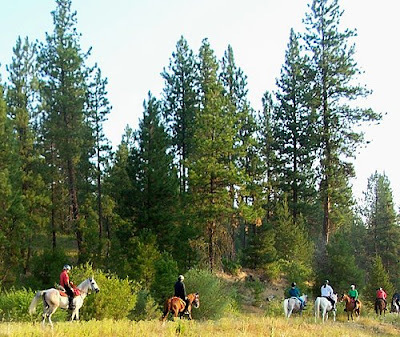 Fifty miles on the back of a horse under the Idaho sun sounds like a perfect place to contemplate it all. To let the gratitude sink in. Because that is what I feel. Those mugs and hats and t-shirts have it right, you know. Life is good. During my long summer of painful indecision, I stocked up the cash I would have spent on rides, with vague thoughts of purchasing a horse. Though I hadn’t yet chosen the path of selling some Barbs and buying some Arabians, the handwriting was on the wall. I just didn’t want to read it yet. It’s not that Barbs can’t do endurance, of course. I’ve logged almost 1,000 AERC miles on them and never had one pulled. They can finish just fine. They typically have good minds and strong bodies, though some individuals are superior to others, just as with any other breed. 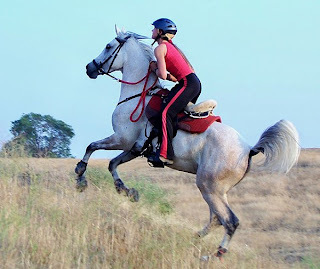 But let’s face it: if you to do really well in endurance, your chances are best if you have an Arabian between you and the ground. So I kept an eye out. Casually at first, then more aggressively. I began sending queries on ads for likely candidates. 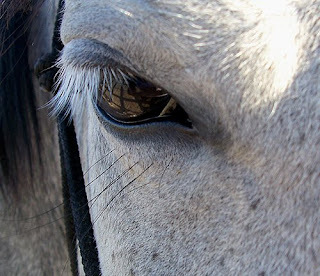 I asked experienced endurance friends who know a lot of people and have good eyes for horses to keep their ears to the ground. 4-7 years old, well started under saddle (because goodness knows I have enough training to do already) Maybe even a slow 50 or two under his girth, for conditioning. Plenty of “go” on the trail. Must be game and enjoy his work. 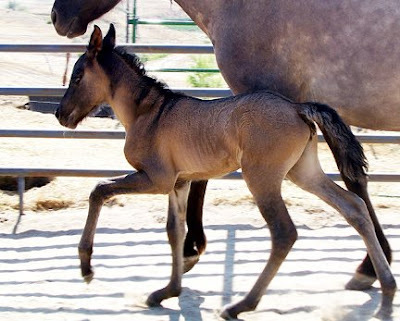 No history of lameness, colic, etc. Easy, right? The catch was that I had to find it all in a single horse. …which leads me to the announcement. I found him. Well. This has been a rough year. 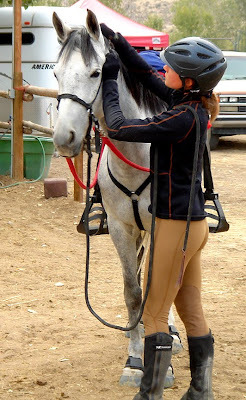 I rode a whopping 175 AERC miles early on — 50 each on Consolation and Acey, and 75 on Karen Bumgarner’s boy Blue. After that, I spent the summer trying unsuccessfully to diagnose Consolation’s mystery issue and treating Acey for ulcers. I’m not sure whether either of them will return to the sport. Only time will tell. I’ve probably ridden fewer than 20 hours total since June. Though I have done some training, I have been largely absent, both from the endurance world and from The Barb Wire. I have been thinking. 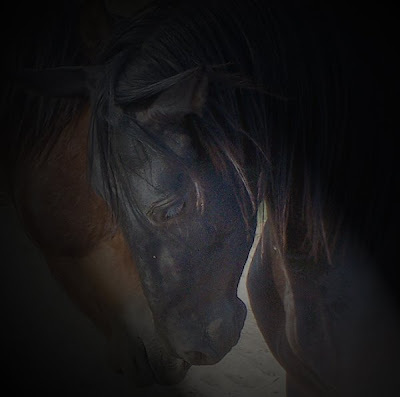 About horses. Priorities. Dreams. Direction. 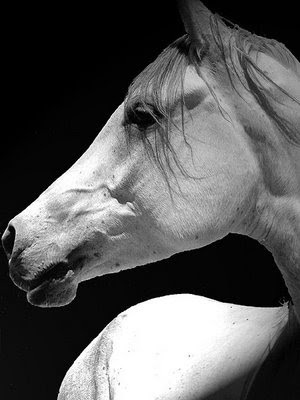 I am pulled between two passions: the Barb Horse, and endurance. My herd contains some of the finest Spanish Colonial blood available. I want to see it preserved, promoted, and used. 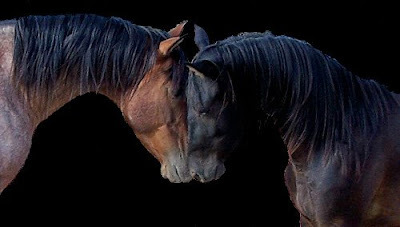 Beyond that, I know and love each individual horse as though it were part of my own soul. And yet, I find my endurance focus sharpening. I want to ride more, more competatively, over longer distances. 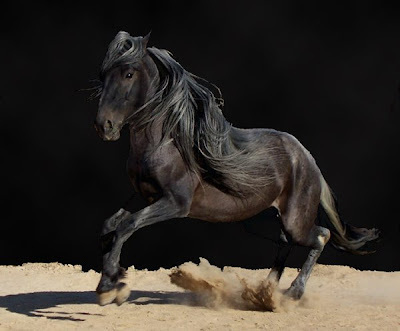 To have the best chance at success, I need to ride the right horses. Arabs. You are about to see a shift. More of my Barbs are available for sale to approved homes; I’ll update the sales page shortly. 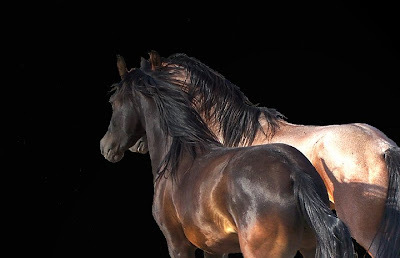 And I am bringing home a couple Arabians. I think I know which ones, but final decisions remain to be made. I’ll soon be riding more. Which means I’ll be blogging more. Which means I’m back on the horse. I’m pretty sure this would be easier if I didn’t work full time. But the paycheck is nice. I digress. 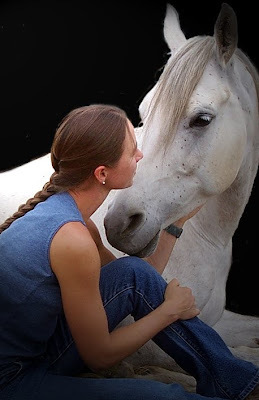 I have decided to complicate my life further by taking two horses to the ride. (Ugh. Buddies.) Encouraged by my extremely experienced, unofficial mentor, Karen Bumgarner, I have decided that Consolation is likely up to two days and Acey up to her first 50. EXCITING!!! And a little scary. But not too scary. 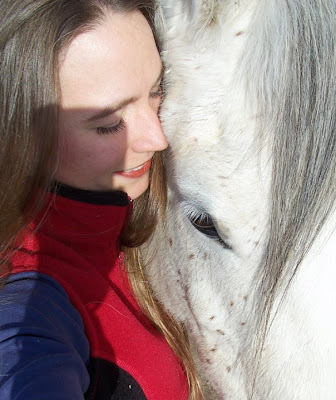 Ever so slowly, I am getting through my thick skull an understanding of how capable horses are of retaining their fitness over long periods with relatively little work. Day 1: 50 on Consolation. This should be pretty managable. I don’t know yet whether I’ll be riding with anyone, but Consolation is fine with heading out alone. The complicating factor this time will be Acey’s presence in camp. Last time she came along, Consolation hollered for her for a good 5 miles. Embarassing, but what’re you going to do? The good news is that all holds are out of camp, so we won’t have a repeat performance on every loop. Last time, she pulsed down fine at the finish despite wanting to get back to her buddy. Another question mark about Acey is water crossing. The only other time I’ve had a chance to try her over water, the creek was very low. It wasn’t a problem, but it wasn’t a knee (or more) deep spring rush like it will be this time. On the other hand, Acey grew up in a large pasture bisected by a creek that the herd crossed multiple times per day, so maybe she’ll take it in stride like Consolation did on her first ride. Day 3: 60 on Consolation? This will depend how she looks after resting on Saturday. If she looks tired or footsore, we’ll skip it. Assuming we do the ride, we’ll again have the anti-buddy benefit of out checks and a familiar trail. And now, it’s time to get busy. 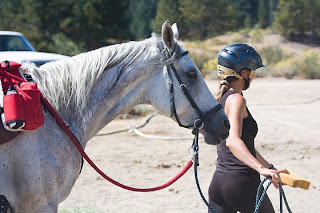 I want to put a moderately-paced, 20-25 mile ride on Acey today, followed by a short ride tomorrow, before she takes the rest of the week mostly off (we’ll still do enough to keep her limber and safe from tying up). Up and at ’em! Gusto. That’s the word I’ve been trying to think of to describe Acey’s approach to life. She tears down the trail with abandon, dives into beet pulp like Scrooge McDuck into gold, and stretches a wriggling upper lip when scratched. Fun and daring bubble around her. But when Acey gets mad, her black eyes smoulder and roll. She isn’t above sitting down and backing 100 feet with her muzzle in the air. Impatient when tied, her hoof slashes graffiti in the earth. Her spooks are brief but dramatic. 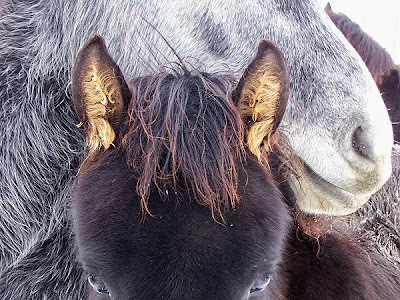 The pony tantrums are growing rarer with training, of course, but I imagine there will always be a part of her that reminds me of the old nursery rhyme: When she was good, she was very, very good…and when she was bad, she was horrid! Maybe I should call her Curly. Look who got to go on a trail ride! 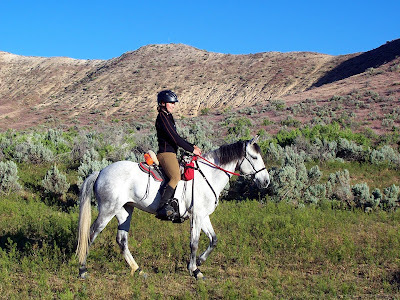 Sunday afternoon, following a 20-miler on Consolation, I hauled Acey across the Snake River for a ride up the Big Hill. Her bare feet don’t handle the gravel road very well, and I’m still holding out for the Glove Wides to be released, so we needed some good footing on which to start getting her in shape. I figured that pointing her up a long slope on a hot day was the safest way to start out, particularly as we were riding alone and she hasn’t seen many miles under saddle yet this year. …and she handled it beautifully, beating Consolation’s first-climb-up-this-hill time by a good 5 minutes. We went a total of 7 miles, mostly at a walk, which was nevertheless a pleasure because Acey really cruises along. According to Garmin, her preferred walk is a good 4-7 minutes per mile faster than Consolation’s. (Yeesh.) I’d forgotten how good Acey is downhill, in particular. She positively glides; I’ve never felt anything quite like it. We had just one medium spook and very little drama, though I can see I’m going to need a lot of tools in the toolbox for dealing with her enthusiasm. Tiny she may be, but Acey has a whole lot of “go” — and as she gains confidence, I’m betting she’ll fight to use it. 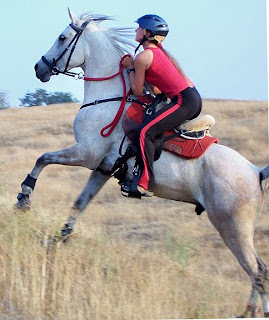 I can already imagine her at the start of an endurance ride, when emotions are high… Yeah. Lots of ring work is in order. Yesterday morning, Consolation and I trundled over the Snake River to some new (to us) trails. Blue skies alternated with doomesday horizons, unfathomable beyond the ridges. Range cows roamed. Angry curlews circled overhead. Nobody else was out. We rode for three hours, soaking up the hills we’ve lacked too long. We trotted some, walked others, and bucked one. (After that one, we trotted few more than we walked!) The footing was mostly packed earth, with some sand. Consolation didn’t need boots; we’ll leave them behind next time. The trail went on and on — perhaps I’d inadvertently taken the 20-mile route my friend mentioned — and eventually turned around because, having topped yet another hill, I couldn’t detect any sign of a trail looping back, but I could detect an oncoming storm. Consolation hopped right back into her new trailer (she seems to prefer it!) and arrived home safe and sound. This morning, she looks fantastic. Where shall we go tomorrow?